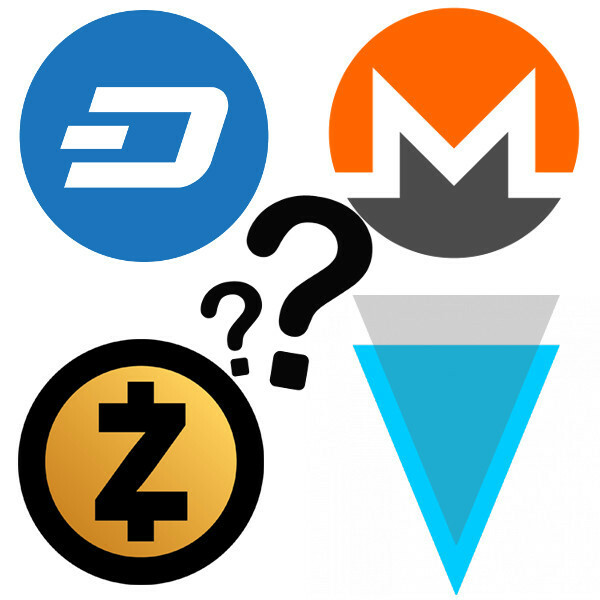 Verge (XVG) is a cryptocurrency that was originally released in 2014 as DogeCoinDark. It was rebranded as Verge in 2016 and has been designed with a special focus on privacy and anonymity. Verge wants to bring blockchain transactions into everyday life with a primary goal of fulfilling Bitcoin’s original vision to provide everyone with an efficient, fast and decentralized way of conducting direct transactions while concurrently maintaining personal privacy. As its original name (DogeCoinDark) implies, the coin has always had its users’ privacy in mind. Verge is virtually untraceable and can be used to make nearly-instant transactions anonymously. Fast transactions – Verge utilizes Simple Payment Verification (SPV) technology to make transactions fast. The average transaction confirmation time is less than 5 seconds. Active development team – the core developers are very active and can easily be reached for support or suggestions. Designed for mass adoption – to make adoption easier, Verge features a range of secure wallets available on different operating systems. It is also the first privacy-centric coin to offer a Tor Android wallet for smartphone anonymity. Open source and decentralized – Verge is an open source project that is completely funded by donations. Excellent community support – Verge has an active community with thousands of members working together to develop and market the coin. There is a maximum available supply of 16.5 billion XVG. The hard cap will be reached in approximately 8 to 10 years (between 2025 and 2027). The volume is deliberately high to reduce the risk of market manipulation and to encourage XVG transactions to be conducted in whole numbers. Paying 34 XVG for an item is much more convenient than paying 0.00034 XVG. Verge was released without a pre-mine or public ICO. It is an open-source project, so 100% of development costs are funded by donations. The developers are looking into opening an official Verge merchandise store and multi-algorithm mining pool to gain additional funds for development projects. The price of XVG has remained relatively low for the majority of its existence, but it spiked and managed to reach a market capitalization of $1 billion USD in December 2017. It went from $0.00002 USD to as high as $0.2 USD in just a few days during that time. While its price has dipped following the so-called “crypto bloodbath” of January 2018, it hasn’t gone back to pre-2017 lows. Verge uses a proof-of-work model. Its developers believe proof-of-stake systems unfairly benefit users with the most coins, which is a problem currently seen in fiat currencies. Verge supports five different mining algorithms: Scrypt, Lyra2rev2, X17, blake2s, and myr-groestl—to enable users with different types of setups to easily mine XVG. This means more fair distribution of coins and more security through decentralization. Although Verge runs on a public ledger, its users don’t have to compromise privacy for transparency. The network utilizes the Wraith Protocol, a technology that gives users the ability to seamlessly switch between public and private ledgers. When it is turned on, transaction data is hidden and can’t be viewed using the Verge blockchain explorer. Using the Wraith Protocol, users who value their privacy can make their transactions vanish entirely, and users who value transparency and accountability (e.g. merchants) can keep their transactions viewable on the blockchain. Verge also allows the total obfuscation of IP addresses in both cases through the integration of Tor and I2P networks directly in its core wallet. The combination of these two features makes Verge a truly untraceable cryptocurrency. High volume – Verge caps at 16.5 billion coins, which is significantly higher than a lot of cryptocurrencies on the market. Tor and I2p integration – users can obfuscate their location information using Tor or I2p. Wraith protocol – users can choose to hide their transactions or to keep them transparent. Smart contract functionality – Verge plans to implement Rootstock (RSK) smart contract functionality in the future. Ultra-fast transactions – Verge settles transactions in 5 to 10 seconds depending on network load. It can currently handle 100 transactions per second, but that can be scaled to 2,000 transactions per second once RSK is implemented. Low transaction fees – the Verge network only charges 0.1 XVG per transaction. Atomic cross-chain trading – atomic swap capabilities allow for inter-operability between Verge and other cryptocurrencies on the market. Encrypted chat with Visp – Visp is a P2P instant messaging system that uses the AES-256-CBC encryption algorithm to keep conversations private. Verge is listed on numerous exchanges: Bittrex, C-Cex, Litebit, SouthXchange, NovaExchange, Cryptopia, CoinSpot, Blocknet, Nexchange, Coinwale, Binance, HitBTC, Upbit, Changelly, NakamotoX, CoinSwitch, Coin2001, CryptoBridge, Changenow, Tradesatoshi, and CoinsReady. There are plenty of wallet options for storing XVG, including a core wallet for Windows and Mac OSX, and a lightweight Electrum wallet for Windows, Mac OS X, and Linux. For users who want a wallet integrated with anonymizing services, Verge has an Electrum for Tor desktop wallet, a Tor web wallet, an I2P web wallet, and a Tor wallet for Android. XVG is also supported by Coinomi (Android only). Verge’s high volume, low tx fees, fast transaction speeds, and anonymity has made it appealing to a lot of users, and as such, it has high market liquidity. Verge’s market cap crossed the $1 billion USD threshold in December 2017 and will likely remain in that range since 14.5 billion of the total available supply is already in circulation.